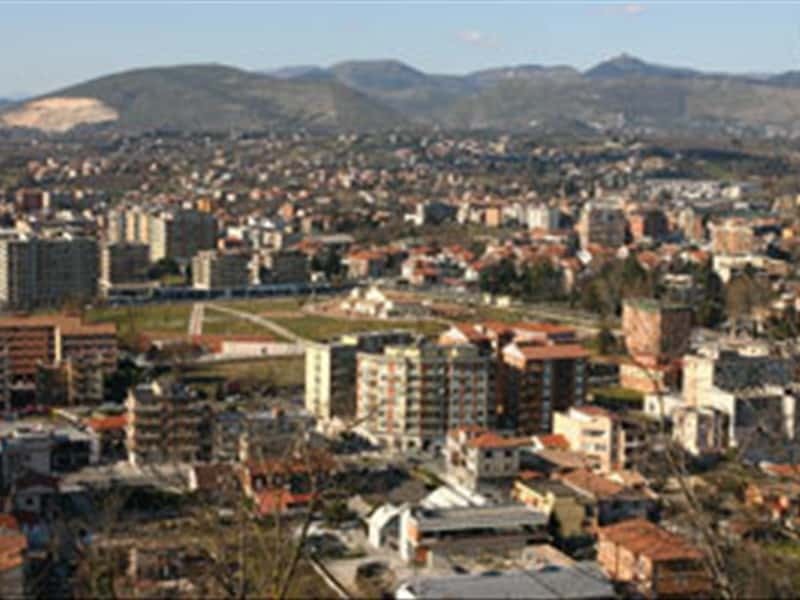 Frosinone is located in the centre of the Ciocaria region, in a strategic position between the valleys of the rivers Sacco and Liri. For the most accredited studious: the etymology of the name Frosinone derives from the Volscian word "Frusna" (land of rivers), that under the Roman Empire changed to "Frusino". A settlement founded by the Volsci that strongly opposed to the Roman expansion until, in 388, Furio Camillo undersigned a coalition edit with the Volsci, Ernici and Latini. The city was destroyed during the Barbarian invasions and remained under the Pontifical State with agricultural and military assignments. In the old city, near to the square-shape Bell Tower, arises the Cathedral of Santa Maria Assunta, rebuilt on the ruins of a primitive Romanesque style church. The interior is a three-nave building with two lines of columns which hold the arched roof. The Baroque style is present in the multi-colour marbles, the altars in the side chapels and the paintings of contemporary artists such as Purificato, Fantuzzi, Colacicchi and Montanarini. Of major interest are the side chapels with dome roofs, the groin vault with a small octagonal shaped dome at the centre, the mosaic of the artist Mariani behind the main altar and a painting of the Madonna and Child of the art school of Guido Reni, actually present above the entrance to the sacristy. Of antique origins and probably founded by the Benedictines, the Church of San Benedetto features a late Baroque style and preserves a prodigious statue of the Madonna del Buon Consiglio, that became famous in 1796 ,due to its eye blinking miracle, and also a series of important paintings of '600 and '800. In the Archaeological Museum, in the old city centre, preserves a collection of exhibits of the antique Frusino from the Prehistoric Ages to the Roman Empire. An important role in the architectonic panorama is covered by important buildings such as: the Palazzo del Governo, actually seat of the Prefecture, built in 1825 and partially destroyed by the air raids during the Second World War; the Palazzo della Provincia, built in the Thirties in a Neoclassic style; the Pietro Tiravanti building, the Edera skyscraper, built in the early Seventies and the Fountain Livio de Carolis. This town web page has been visited 29,220 times.